What Is Happening With Legalization Of Marijuana In New Jersey? Rolling Stone recently ran an interesting article on the legalization of marijuana in New Jersey. 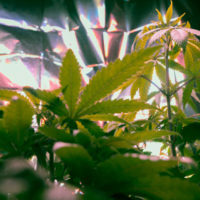 According to experts, New Jersey has a unique set of circumstances that could allow it to become a global leader in the cannabis industry. First, the state has some of the highest incarceration rates in the country as a result of spending over one billion dollars just in the last decade enforcing and prosecuting those accused of violating cannabis prohibition laws. In other words, the state has a huge “wrong” that needs to be “righted.” Second, New Jersey also arguably has the leadership in place to set up a regulated system through legislation, including the governor, Senate president, assembly, and the director of the department of health. Third, New Jersey hosts some of the top healthcare institutions—from medical schools, to biotech and world-class universities—and it is poised to address the gap on cannabis research, including how to properly use it, its benefits, patient outcomes, etc. With full legalization, New Jersey could become the cannabis research center of the U.S. Finally, from a consumer perspective, New Jersey has what it takes to create the products for the type of demographic the industry is going for, making it the right market opportunity. However, the legalization bill still has not passed the state legislature, and a number of concerns are still up in the air, even with respect to medical marijuana, which has been legal since 2010, as we discuss below. According to those working on legalizing marijuana via legislation here in New Jersey, the bill now is not expected to be introduced before the end of September. However, the delay has led to the inclusion of ideas that weren’t previously under consideration, including a provision that would allow people and small businesses to apply for a micro-license to grow, process, or sell marijuana and, perhaps most importantly, separate expungement provisions that would make it easier for people to get previous marijuana convictions expunged. What about New Jersey Employers, Drug Tests, and Medical Marijuana? Meanwhile, things have been unclear as to what employers in New Jersey who undergo drug testing can and cannot do under certain circumstances. While New Jersey decriminalized the use of medical marijuana for certain qualifying patients eight years ago, until now, New Jersey courts have dodged the issue of whether employers must accommodate employee’s use of medical marijuana regarding providing “reasonable accommodation” requirements to avoid discrimination. However, recently, the courts declared that employers are not required to waive the requirement that employees pass drug tests. In doing so, it noted that the law on prohibits discrimination based on disability, not conduct resulting from a disability. Things are still somewhat unclear when it comes to marijuana crimes here in New Jersey. If you have been accused of a marijuana-related crime, or your civil rights have been violated in connection with your legal right to use medical marijuana, contact our experienced New Jersey civil rights and criminal defense attorneys at the office of Phillip J. Murphy today to find out how we can help.